Table 1. 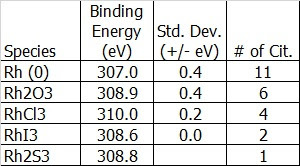 Rh 3d5/2 binding energy values. Figure 1. 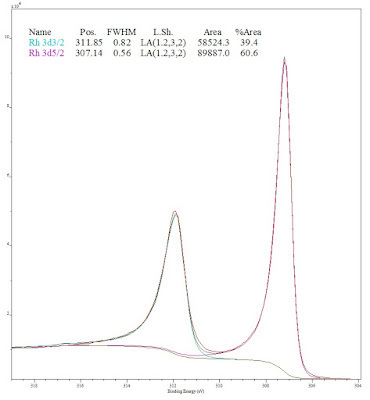 Rh 3d XPS spectrum of sputter cleaned rhodium metal. Peakshape from metal standard in Figure 1 is LA(1.2,3,2). 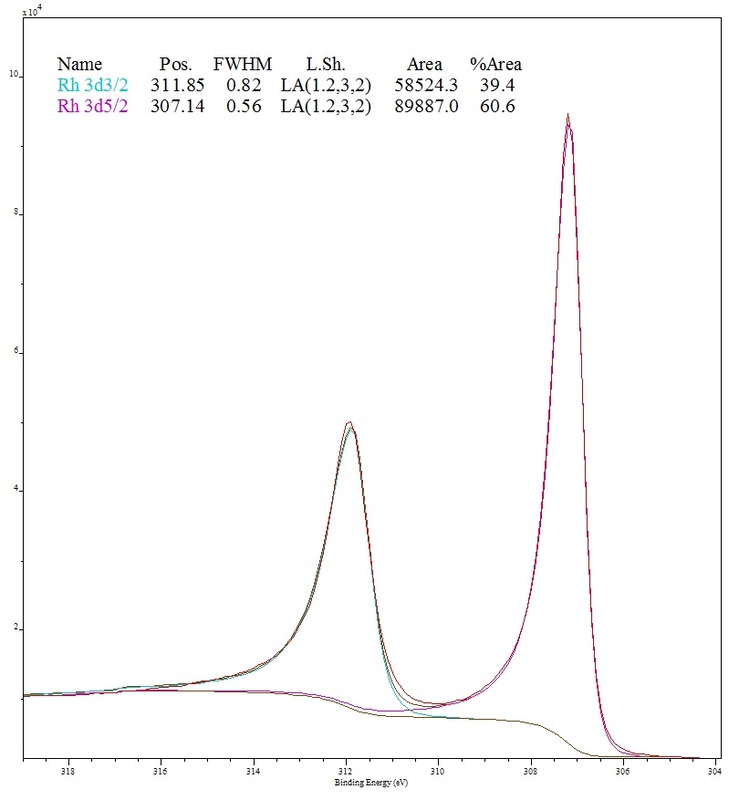 FWHMs are 0.51 eV (3d5/2) and 0.79 eV (3d3/2) at 10 eV pass energy and 0.56 eV (3d5/2) and 0.82 eV (3d3/2) at 20 eV pass energy. Rh 3d5/2-3d3/2 splitting is 4.71 eV.